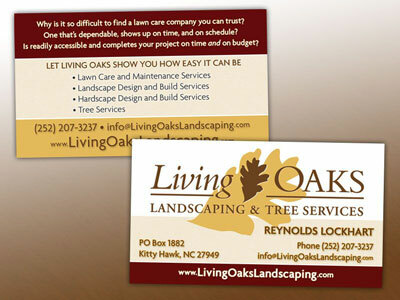 Business cards designed for Living Oaks Landscaping on the Outer Banks of North Carolina. 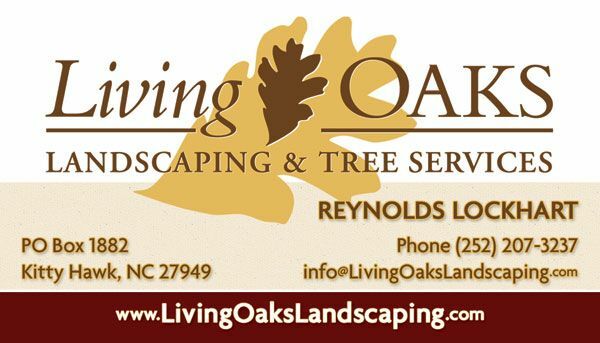 The cards use the same color scheme and branding we use on all of their pieces. 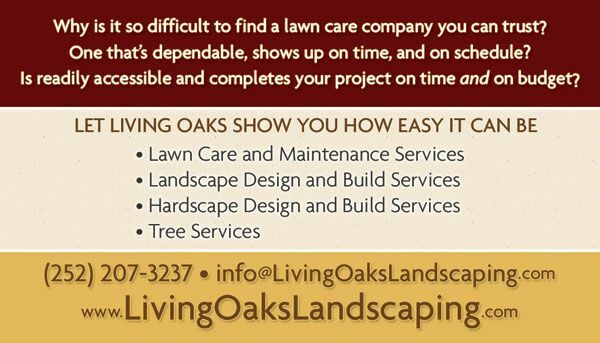 The back is utilized to further promote the company and list their services making it a small marketing pieces as well as a business card.